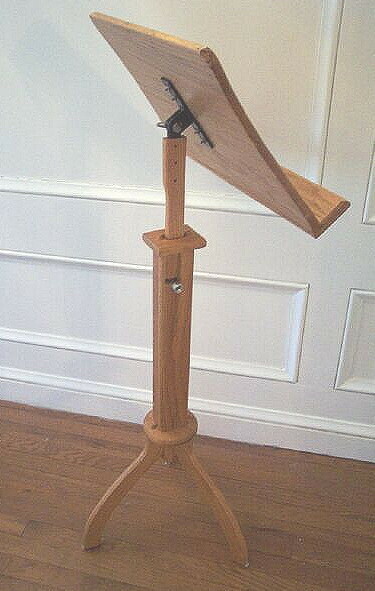 Here is a music stand I designed loosely on a shaker candle stand. 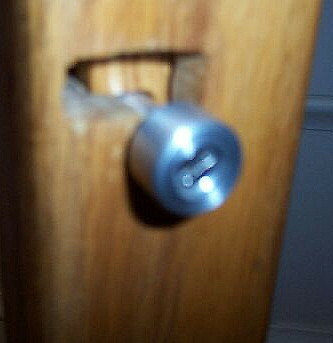 It can be adjusted vertically or horizontally. I saw a shaker candle stand that was vertically adjusted via a notched center piece that ratched up and down as desired. 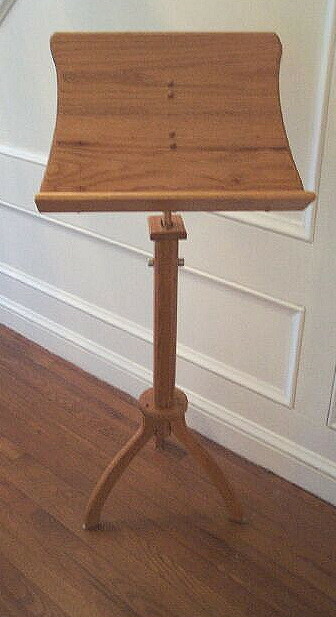 This music stand incorporates the ratchet adjustment with the Shaker three legged base. 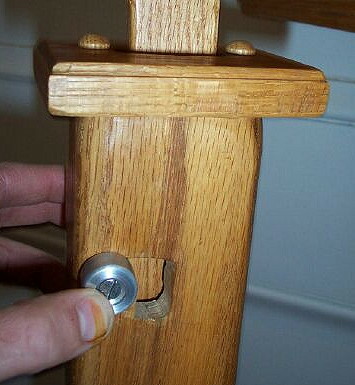 To raise or lower the stand, the aluminum adjusting rod is lifted up and backard in the inverted "L" slot. LEFT. 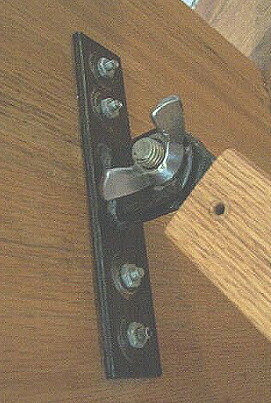 Horizontal adjustment is made by loosening/tightening the wing nut on the steel mounting bracket. Click the pictures below to see other music stands I have designed and built..